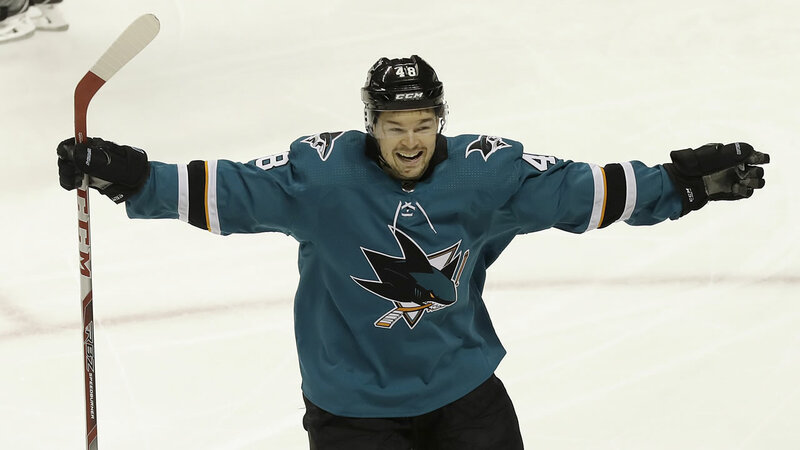 SAN JOSE, Calif. (KGO) -- The San Jose Sharks looked faster than the Anaheim Ducks throughout the entire series and put a stamp on their passports to Round 2 of the Stanley Cup Finals Wednesday night with a win of game 4. However, through three playoff games, they have barely broken a sweat. Wednesday night the Sharks took on the Ducks in front of a capacity crowd at SAP Center and did not disappoint fans. After an early goal in the first period, the Sharks kept the lead all the way to period three, where the Ducks scored to tie the game. But it wasn't long before the Sharks were chomping at the bit, scoring another goal almost immediately after the tie to carry them to a win.